The City of Jerusalem has been subject to geopolitical and religious conflict for more than three millennia, ever since King David chose it as the site for the capital of the Kingdom of Judah. His choice has often been criticized, because of the inherent difficulty in supplying water to the city under conditions of siege. In Biblical times a major focus of the Kings of Judah was to ensure access to water through tunneling that made the water of the Silwan spring accessible to residents within the walls. In those times food security was also secured by maintaining agriculture in the peri-urban area, in a green agricultural belt around the city, where water erosion was prevented by the painstaking construction of agricultural terraces that can still be viewed as we approach Jerusalem from the west. I am convinced that when asked to say what associations are triggered by the name “Jerusalem”, most will answer “Holy City”, ” Crusaders”, “terror attacks” or “the Israeli-Palestinian conflict”. 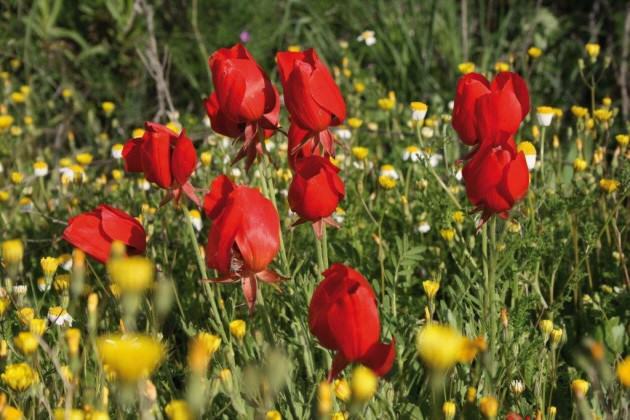 Very few will know about the rich natural heritage of Biblical flora and fauna, which is such an integral part of the special landscape that is Jerusalem. 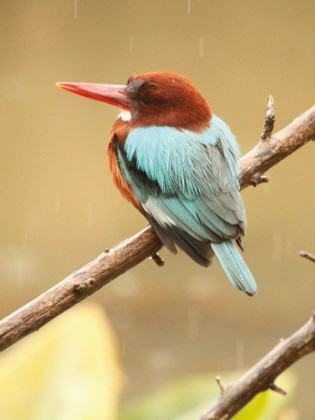 Very few know that Jerusalem is a significant place for rest and recreation for half a billion birds, on one of the most important global bird migration routes, which follows the course of the Great Rift Valley. The traditional symbol of the tribe of Judah was the lion, no longer to be found in the Judean hills on the west side of the city, nor in the Judean Desert on the east side. Jerusalem is characterized topographically by the watershed that draws a clear divide between the eastern side, a desertscape of great beauty with many historic features, including the magnificent Kidron/Wadi El Nar Basin, running down to the Dead Sea, and the western side, with the green rolling Jerusalem Hills, abundant water sources and fertile valleys. The physical contrast between these two microclimates is dramatic, and very much an integral part of Jerusalem’s magic and majesty. The subject I have chosen relates to urban Jerusalem, and has no bearing on the city’s status as a geopolitical jigsaw puzzle. 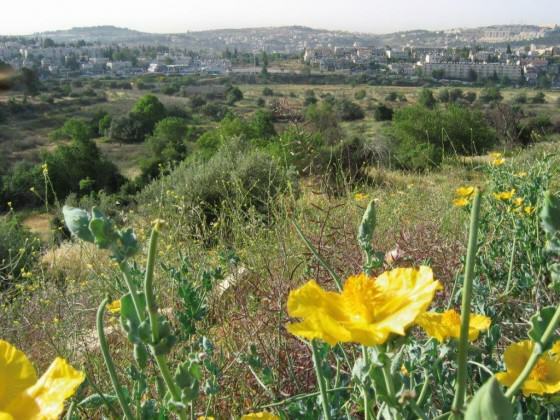 In Urban Jerusalem residents meet nature and vice versa, and indeed the case of the Gazelle Valley Park has proved to be one of the most fascinating of these meeting grounds. Originally the valley had formed part of a succession of open spaces, forming a north-south ecological corridor for wildlife such as gazelles to roam freely across the city and into the surrounding natural areas. Infrastructure of roads around the valley effectively cut off a whole herd of gazelles that were forced to stay within the bounds of the valley. Over the last twenty years the Gazelle Valley has also become a symbol of community action, apart from the fact that it is currently undergoing the initial stages of development as Israel’s first urban nature park. In the 1990’s an attempt was made to convert the sixty acres of the park into a residential neighborhood with a business center, then considered worthy urban objectives. The land had previously been allocated to two collective farms that had been asked to grow fruit for Jerusalem under siege during Israel’s War of Independence. The orchards were planted already in the 1940’s and provided a source of fresh fruit for residents during the six-month siege in 1948. During those difficult months, Jerusalemites had a meager water supply thanks to the rainwater cisterns that have been part of life in Jerusalem for thousands of years. In the 1970’s farming in Israel began to be less profitable, and many of the collective farms (Kibbutzim) tried to change the zoning of their land to enable industrial and residential development. The possible implications of this change, if effected on a wide scale, might be disastrous in terms of the balance between open and built-up space in a tiny country like Israel, with precious aquifers and relatively narrow ecological corridors running north-south, impeded by a lot of urban development along the way. In order to grasp the scale of this little country, it will help to remember that the whole of Israel is about the same size as the state of New Jersey in the USA, and about the same size as the island of Sicily in Italy. The case of open agricultural land inside municipal boundaries is even more complex, because of the need for preservation of open space as part of the city development plan. Our Gazelle Valley had already been reduced in size by a major highway that shaved off an entire strip of the triangular valley, which eventually became an enclave, hemmed in by roads on all three sides. The gazelles were trapped, deprived of the ability to roam throughout the western Jerusalem hills, and it was nothing short of a miracle that a small herd of some 30 gazelles survived and thrived. The remaining 60 acres went untouched for a couple of decades, becoming a haven for indigenous flora and fauna. The argument for real estate development in this prime area was powerful, and I found myself heading a coalition of neighborhood committees and civil society organizations, who fought hard for the right to leave the valley free of building. 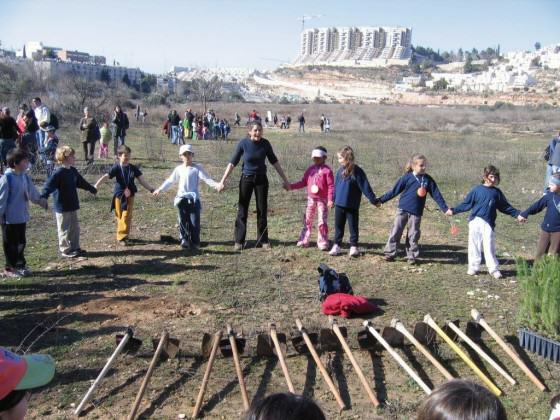 The Society for the Protection of Nature in Israel fought the battle for the Gazelle Valley in the planning committees and the courts, eventually winning the case by proving that percentage-wise, this space needed to be left open to enable intensive development in the surrounding neighborhoods. Without realizing, we were making the case for preservation of urban nature, and indeed for the multiple eco-system services it provides. 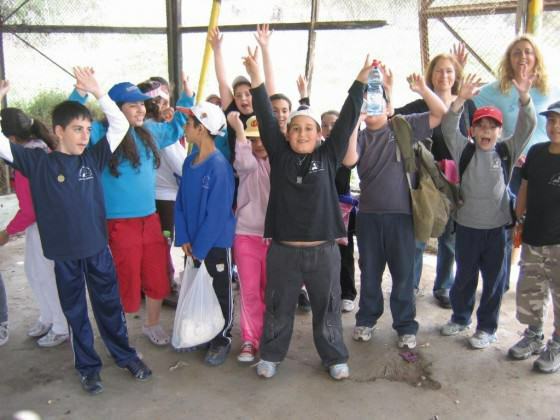 Those that argued in favor of intensive residential development in the valley claimed that the pro urban nature camp was hypocritical, since by not developing the Gazelle Valley we would push urbanization further into suburbs on the west side of Jerusalem, where the really important natural resources are. So we were accused of conducting a NIMBY fight to prevent building in our back yards. 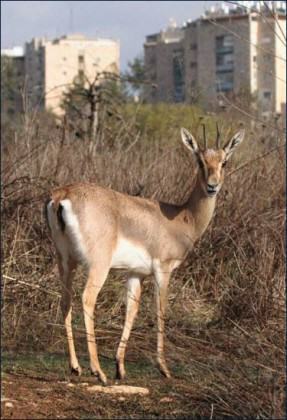 A gazelle, resident of Gazelle Valley with the backdrop of the Givat Mordechai neighborhood. Realizing that the victory over the planning committees was a tenuous one at best, we found ourselves facing a singular window of innovative opportunity, to put an alternative plan before the committees, that would rezone the valley as an urban nature park (this was to be a first for Jerusalem and indeed for Israel). 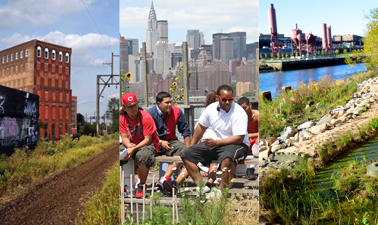 Our planning argument was strengthened by in-depth community work which established the support of the 150,000 residents living in close proximity to the valley, based on the premise that without consensual support of the adjacent neighborhoods there could be no public legitimacy for our daring initiative. This was the first time a community-supported initiative dared to propose an alternative plan and see it through the planning committees, filling the vacuum that had been created by the rebuttal of the original proposal for a residential neighborhood. I had quite reasonably insisted that the Gazelle Valley Park be one of the commitments for the new administration, but this did not mean that it would happen immediately. The investment needed to develop the park was not easy to come by for the City of Jerusalem, the poorest city in Israel, although the capital. However funds were soon located for the detailed planning of the park, essential before the actual physical development, so as to get an idea of the design, and also the philosophy of a comfortable interface between the public and the herd of gazelles, some of which had survived the years of living in an urban nature no-man’s land hemmed in by traffic. The main threat to the gazelles during these years of campaigning, planning and fundraising, had been the danger of being run over after running out unwittingly into one of the three busy roads bordering the triangular valley. When it came to planning the park in preparation for the actual development, an additional element of great significance for Jerusalem was brought into the picture. The famous Jerusalem watershed, which divides the city into two distinct microclimates, places the Gazelle Valley in the western Soreq basin, which drains ultimately into the Mediterranean. Because of the hilly topography of Jerusalem, there has been an age-old struggle to retain rainwater and prevent it from running off to the Dead Sea on the east side, and to the Mediterranean on the west. In biblical times farmers built endless rows of stone terracing, to prevent soil erosion and enable crop-growing in the hilly Jerusalem terrain, while rainwater has been harvested and stored in cisterns for thousands of years. Thus typically, the 60-acre triangle of the Gazelle Valley is severely flooded in the rainy season, although the water has disappeared well before summer. The solution offered in the plan for the Gazelle Valley Urban Nature Park is simple but most effective, and will now be used regularly in the western valleys of the Soreq basin. By digging a canal where the floodwater runs, rainwater can be channeled and collected in a series of small lakes, which will serve several very important purposes. 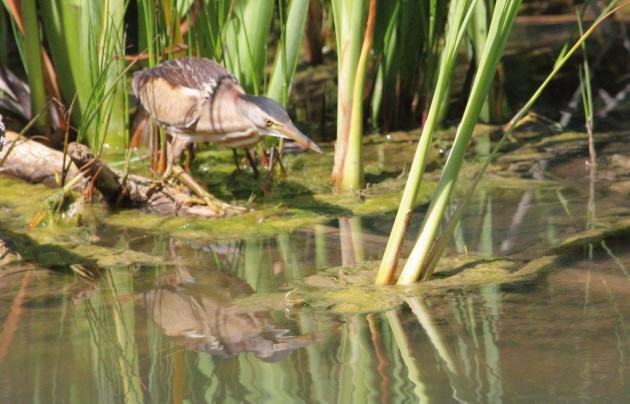 —Water will be provided for wildlife in the valley well past the spring months of heavy rainfall. —A water experience will be provided for visitors to the park. —The channel and lakes will provide a natural divide, allowing the gazelle privacy in their habitat, without needing a fence of any kind. As I submit this entry to the TNOC blog, the fence around the valley, which will provide protection for the gazelles from the heavy traffic all round, and from marauding wild dogs, is nearing completion, and so is the rainwater collection system I have described. 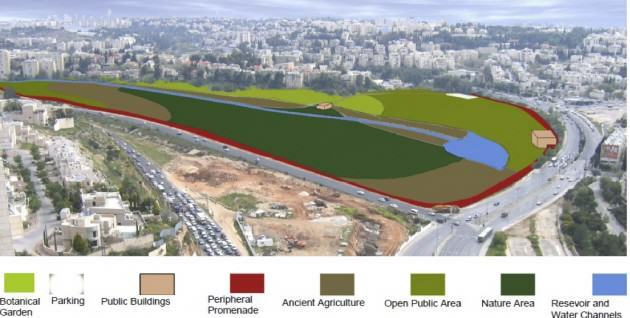 The many ancient agricultural terraces around the valley will be restored, and a bike path will run round the entire park, as well as along the axis of lakes and streams. A Visitors’ Center will provide educational material and information for tourists. There will be no lighting in the park after 22:00, and the park will be closed to the public at night, with no entry fee during opening hours. The Gazelle Valley Urban Nature Park is a dream come true in more ways than one. —It symbolizes the capacity of civil society to intelligently change planning policy, compelling the planning authority to recognize the depth of local wisdom and the importance of local needs. —It has proved a catalyst for urban densification in surrounding neighborhoods, because of the attractiveness of such a park close by. —It has helped move the city planning administration closer to the understanding of the potential role of urban nature, when placed in intelligent interface with urban development. 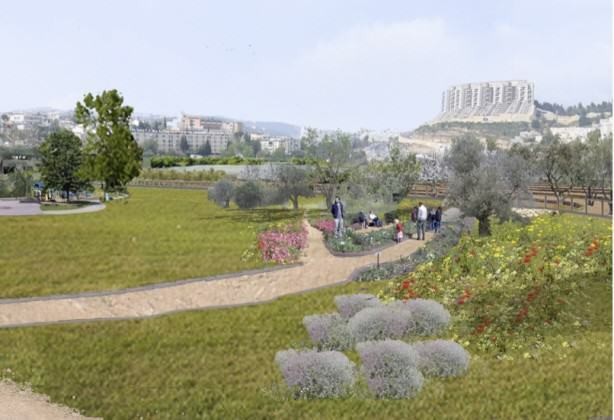 —It enables thousands of Jerusalem residents to enjoy nature within easy walking, biking and light rail distance from their homes. —It provides a wonderful educational resource for many local schools and kindergartens. 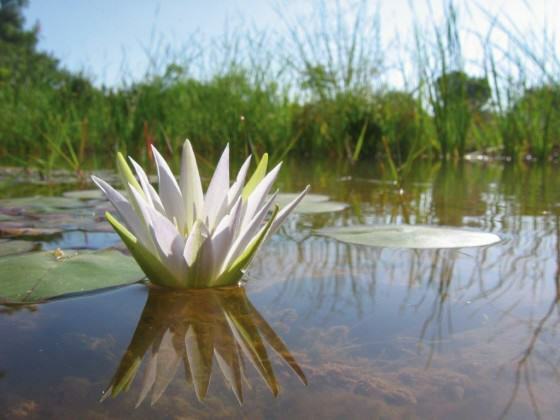 —It contributes to resilience in the face of climate change, preventing flooding and erosion and retaining water for flora and fauna for additional months of the early summer. —Sensitive development will ensure the preservation of fragile ecosystems in the valley. —Jerusalem will add a new potential experience for visitors and pilgrims. Soon the Gazelle Valley Urban Nature Park will be opening its gates to visitors, and there will be a lot to learn and a lot more work to do in the park development process. 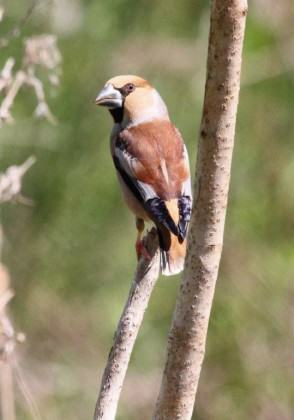 As each exciting stage unfolds, I look forward to sharing the many faces of urban nature in Jerusalem with fellow readers and contributors to TNOC. 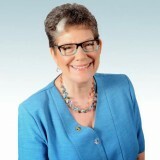 Naomi Tsur is Chair of the Jerusalem Green Fund, Founder and Head of Green Pilgrim Jerusalem, and served a term as Deputy Mayor of Jerusalem, responsible for planning and the environment.